Battery powered vacuum lifter with built in battery charger. Designed for horizontal lifting. Ideal for glass, laser cutter, thin metal sheets, panels. Simply hooks on to your hoist. 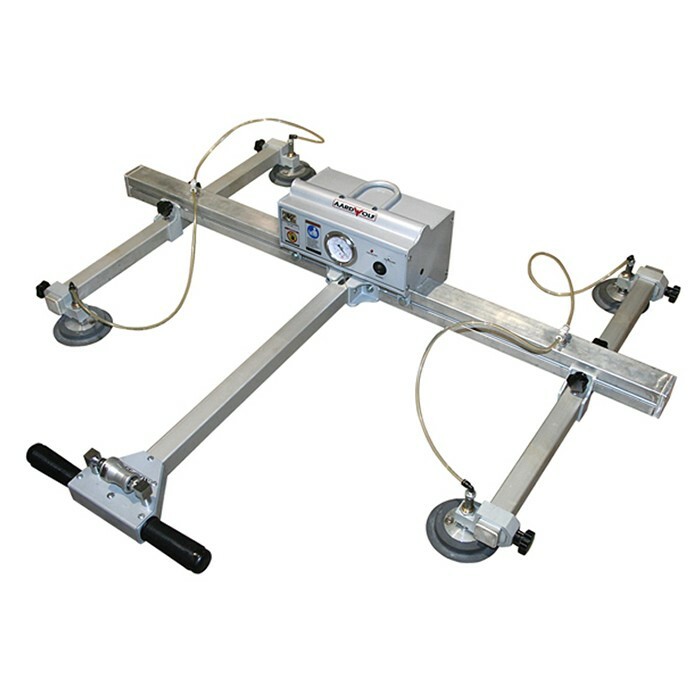 Suitable for lifting sheets with a maximum weight of 160 Kgs and a size of 2.6 x 1.6 m.